Grainne McKeown offers Thai Massage, a type of body work which originated in Asia over 2500 years ago during the time of the Buddha. It was given as therapy along with advice on herbs, diet, and meditation practice to help heal imbalances in body and mind. Thai Massage is a floor massage where the fully dressed client lies on a mat. A well designed system of movements allows the therapist to manipulate the client without much effort. Every movement is created to support the client as well as the therapist. Silence between the therapist and the client allows the therapist to understand the client and to give the client a chance to focus on breath and sensation in order to learn about himself without distraction. To give and to receive Thai Massage is a meditative practice. At the end of a one or one and a half hour treatment, both the receiver and the therapist will feel relaxed and energized. Each treatment is tailored to the client and his or her individual constitution and needs. Grainne uses her knowledge of trigger point therapy to address pain management, as well as her experience with herbs, diet, and Ayurveda to recommend lifestyle alterations. Those suffering from chronic pain such as arthritis, tendonitis, lower back pain, or headaches. Thai Massage is a two-part system combining both energy work and physical healing techniques. Gentle pressure is applied to particular spots along the energy lines of the body known as the Meridians. This stimulation releases blocked energy, which is the cause of lethargy, aches, and pains. Thai Massage also uses gentle stretching movements, similar to light yoga asanas, which facilitates the flow of energy throughout the body as well as increases flexibility. This makes Thai massage a more interactive and engaged session than the average western massage. By physically manipulating muscles and connective tissue, Thai Massage creates a dynamic, restorative, and healing experience of body and mind. Treatments are available in Chicago, Glenview, Wilmette, or (depending on location) in your own space. 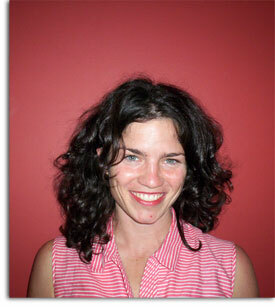 Grainne McKeown was born and raised in Chicago, IL. After receiving her B.A. from Boston College, she lived as a volunteer on the Ft. Belknap Indian Reservation in Hays, Montana. Shortly after this experience she moved to Asia. Grainne lived in Chiang Mai, Thailand for three years, studying and practicing Thai Massage therapy with some of the great masters of this art. She also studied Chinese Medicine with a local doctor. Early in her stay in Thailand, she became interested in Buddhism and began receiving instruction in meditation at a forest monastery outside Chiang Mai. She went on to study yoga and Ayurevedic medicine in India, and most recently spent a year in Nepal studying Buddhist philosophy and meditation at a Tibetan Buddhist monastary. She also taught yoga to local Nepalis. Kate Sheehy is a graduate of the Chicago School of Massage Therapy, where she received solid training in muscular therapies, anatomy, physiology and trigger point therapy. At the New Mexico School of Natural Theraputics, she studied CORE Synchronism, a combination of Craniosacral and Polarity bodywork which addresses energetic balance through flow of cerebral spinal fluid through the body. She has traveled to Thailand to pursue intensive training in Traditional Thai Massage, studying with Master Asokananda, author of one of the leading Thai Massage books available to Western practitioners, and receiving advanced training under Master Pichest Boonthume. Prior to her dedication to bodywork, Kate received a Communications degree at University of Illinois in Champaign. She has collaborated with various local artists and theater groups and conducted integrated art residencies in Chicago Public Schools and Community Centers, teaching puppetry, performance and storytelling. She enjoys the practice of meditation while riding her five foot unicycle or working in community gardens.